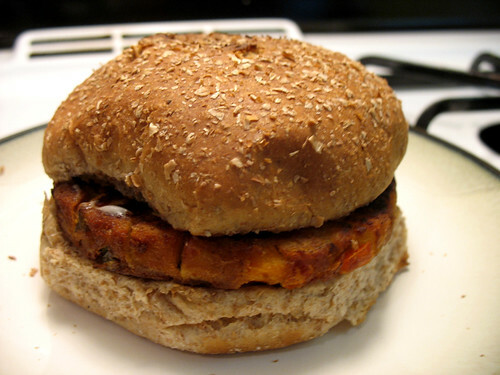 I think these are my favorite store-bought burgers. I’ve been eating them for years, ever since they first caught my eye in the frozen food section at Trader Joe’s. Now I always keep a box of them in my freezer. 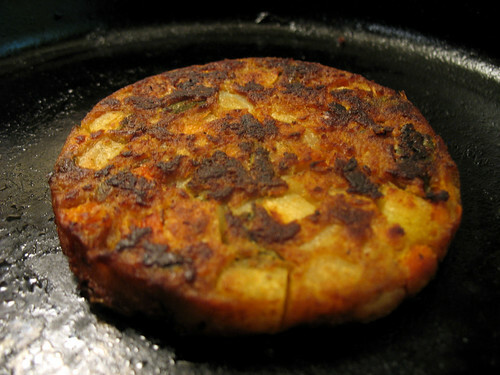 The patty fries up well – the inside stays moist and soft, while the outside gets browned and crispy. And it only takes a few minutes, so it’s perfect for a quick meal or when you are just too tired after a long day to prepare anything more arduous. Honestly I have never tried these on the barbecue grill, because I usually prefer a more traditional burger flavor when I’m grilling. These might be a little soft to keep their shape on the grill, but the box has written instructions for grilling them so I’ll have to do a test once warmer weather returns. 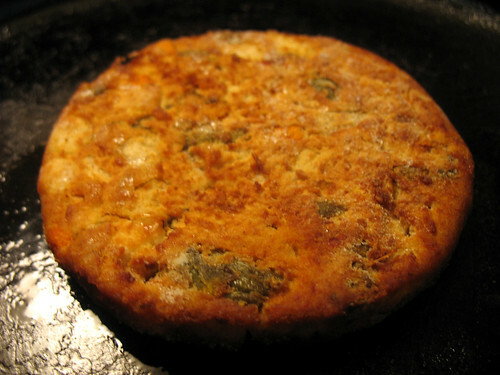 The box says “with authentic Indian spices”, and spices certainly are present in each bite of the patty. Not to the point where someone who can’t handle spicy foods would dislike it, but just the right amount to give it a strong, delicious flavor. You don’t even need to put any toppings on it, unless you want to of course – Today I just put a little mayonnaise on the bun (granted, I was out of lettuce and sprouts, which I have eaten with this patty in the past, and I must say they do compliment it well). 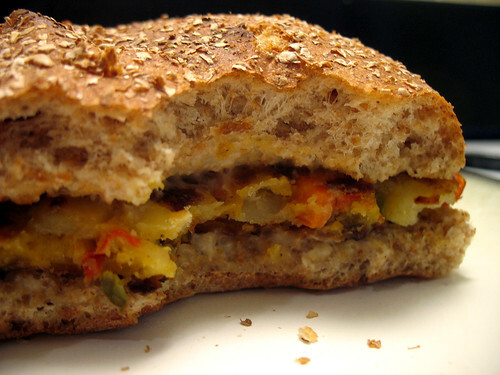 It’s kind of like a samosa, in burger form. And I love samosas. Lots of potatoes, carrots, peppers, green beans… you can see chunks of each vegetable as you bite into it, and each bite is immensely satisfying. And it’s vegan! Although it’s described as a burger, and tastes great as a burger, you can also just serve the patty alone without a bun. Like a vegetable-potato fritter. With a side of rice and veggies… mmm. Fun Fact: Because I’m a huge dork, I noticed these burgers in an episode of Castle. 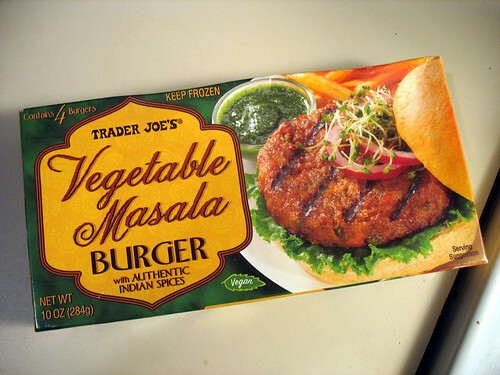 I don’t remember which episode or season, I just remember seeing the familiar masala burger box for a split second when someone opened the refrigerator in Castle’s kitchen (and I thought it odd that they refrigerated them instead of freezing them). Anyone else notice this?